Aside from food and wine, there is nothing that makes me happier than a fresh new planner. I find it so thrilling to have a blank calendar to fill in with fun plans. Dorky, yes. Do I care? Nope. Although I have started to use the calendar on my iPhone, I still and will always have a real paper planner that I write in with (color coded) ink. If you haven't bought a planner for 2014 yet, here are some great options. Top Row: Russell + Hazel's Mini SmartDate System via Waiting on Martha. I've used Russell + Hazel's planner products for years, despite their recent decline in customer service (hint, hint, R+H). I love that the binder system allows you to sub in a fresh page if one gets too messy or your plans change. Their extra folders and loose sheets allow me to create a folder for an event I'm working on, so I can keep my menu sketches and receipts all in one place, and then dedicate the folder to something else once that party is over. Overall the customizable elements and flexibility make this planner my favorite. | Whitney English's Day Designer is made with "creative entrepreneurs" in mind. She calls it a "yearly strategic planner" and it's designed to help keep you motivated and inspired, with goal-minded prompts and quotes throughout. Middle Row (Both Photos): Emily Ley's Simplified Planner is very popular this year - it's sold out twice already. It has a ton of practical elements including a dinner planner. Plus, it's gorgeous! I would give this one a try if I was ready to make the switch from R+H. Bottom Row: Kate Spade 17 Month Agenda in Rose via Lifeguard Press | Cavallini Press Fuchsia Day Planner via Paper Source (available in several colors) is a simple, sophisticated option. 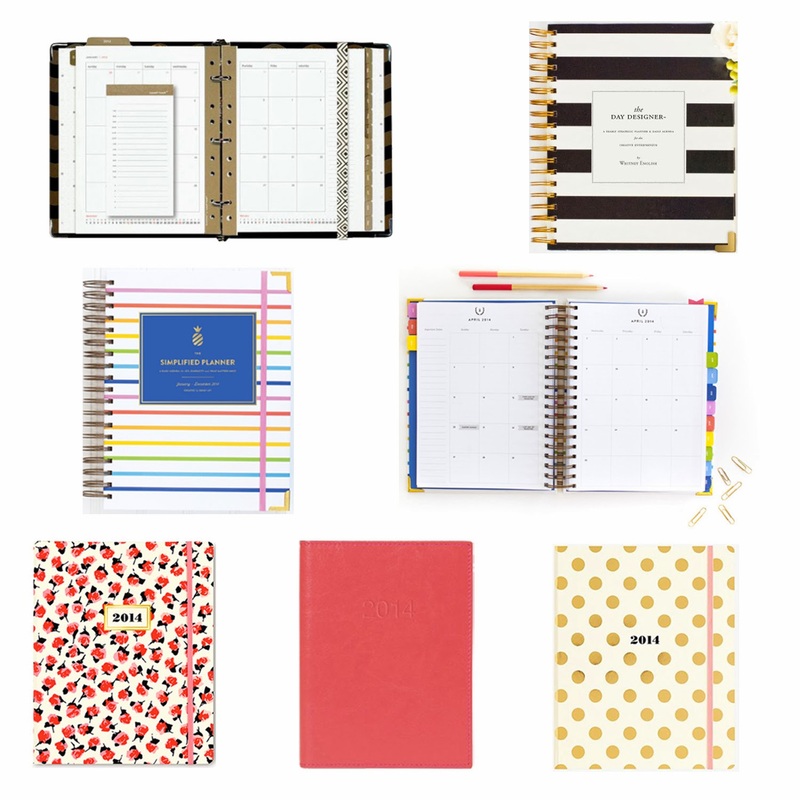 | Kate Spade 17 Month Agenda in Gold - Sold out online but available in stores.